As most Paleo followers know, not all edible oils are created equally. For this reason we spend a lot of time reading labels and making many buying decisions based on the inclusion or exclusion of certain oils. One of the main principles of Paleo is to eat food, which was available to us during the Paleolithic era. It is also crucial that the food is as unprocessed as possible. Obviously when it comes to any oil on the market a certain amount of processing was neccessary to reach the beautiful oil we recognise. The key here though is to avoid any oil, which requires processing on a much larger scale. It is also the reason that there is a definitive list of oils acceptable when following the Paleo philosophy. Two such oils are coconut oil and olive oil. Except more recently olive oil has been pushed to the end of the list and forgotten about. Are we correct in focusing more on coconut oil, or do we need to give olive oil equal respect? Both coconut oil and olive oil are composed of 100% fat and the nutritional differences therefore boil down to the type, quality and ratio of fats in each oil. The purpose of the oil is also an important fact e.g. use for cooking etc. Olives and as such olive oil has been around for centuries and existed in most ancient civilizations. Many claim that the low incidence of heart disease in the mediterranean populations have olive oil to thank. The extraction process of olive oil is extremely simple. Olives are simply pressed and olive oil is extracted. 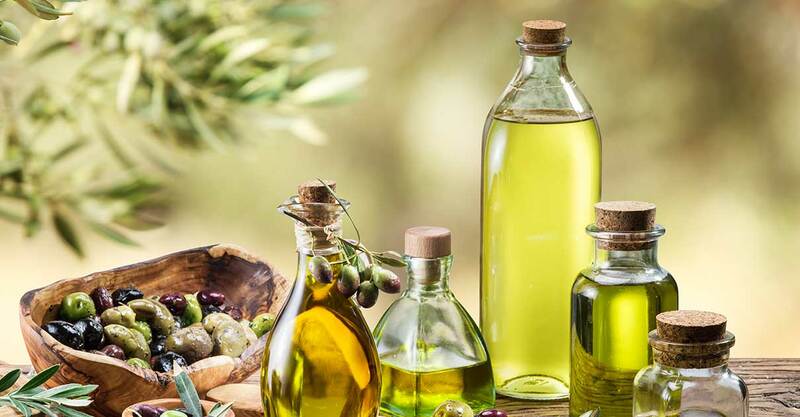 Unfortunately some companies have started using chemicals or heat when extracting the olive oil which obviously changes the positive qualities of the olive oil. Other companies also sneakily incorporate other less desirable oils into their olive oil to lower the price. For this reason it is important to read labels to ensure you are buying a high quality, cold pressed pure virgin olive oil. One of the main concerns most people have regarding olive oil is its ability to withstand high temperatures when we cook with it. This is because different oils have different heat thresholds at which they become damaged and lose their health properties. Rest assured that unless you are frying your food over an extended period of time (repeat frying) your extra virgin olive oil is actually very stable when heated (8). Coconut oil has recently become popular again after being demonised for over a decade. Coconut was previously considered unhealthy due to it containing high levels of Saturated fat. The truth of course is that populations who live off coconuts, coconut oil and coconut cream are streets ahead of westerners in terms of their health. The Tokelauans and the Pukapukans are both populations of islanders who live in the South Pacific islands, off the coast of New Zealand. Their diets comprise of a large percentage of coconut products and are therefore very high in Saturated fat. The interesting thing though is that upon studying these populations it was found that none of them suffer from common Western diseases of lifestyle such as heart disease (which is often blamed on Saturated fat) (9). I’ve heard Coconut oil is great to cook with-is this true? Yes! Undoubtedly cooking with coconut oil is completely safe and is the most stable of all the cooking oils, especially at high temperatures. The other advantage is that your vegetables will taste even more delicious when stir fried in coconut oil. There is no clear winner here. The ancient Mediterranean populations of Greece, Spain and Portugal are most definitely not wrong about olive oil. The islanders of the South Pacific are equally not wrong about their coconut oil. Both coconut oil and olive oil have clear health benefits along with specific cooking and taste related benefits. Coconut oil is great to bake Paleo goodies with as the flavour of the oil lends itself to both savoury and sweet recipes. Try these delicious coconut bread recipes to start with. Olive oil is simply heavenly when poured over salads or vegetables before serving. It is also a great oil to use to make homemade Paleo mayonnaise or a fresh basil pesto.